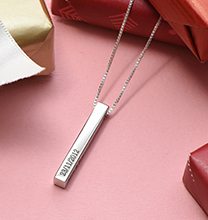 Send a beautiful message in a sleek, stylish package! Our Russian Ring Bangle Bracelet in Rose Gold Plated makes a gorgeous addition to your own wrist, and it’s the perfect gift for anyone who loves to wear bangles. 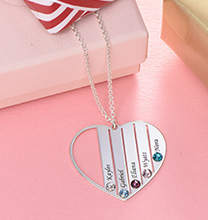 Just right for celebrating mum or grandma at Mother’s Day or on any other special occasion, it’s also ideal for that best friend, sister, or maid of honor who means the world to you. There’s lots to love about this gorgeous design, starting with the soft, feminine glow of rose gold. 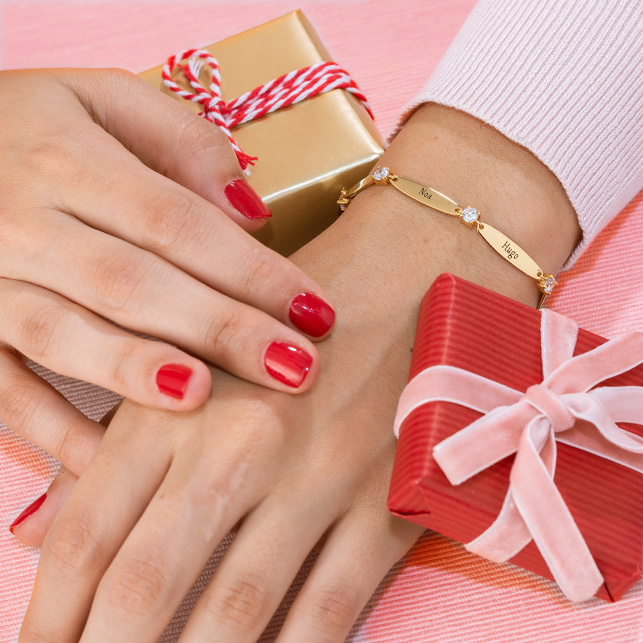 The bangle is sleek and sophisticated, with a clasp that fastens securely for all-day comfort and worry-free wear. 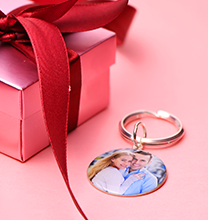 The Russian Ring charm offers a special message that the wearer can glance at anytime, and it adds a sense of motion to the piece while adding interest to any outfit. Like many other bangle bracelets, this one looks beautiful when worn alone, and it works very well when stacked with others. 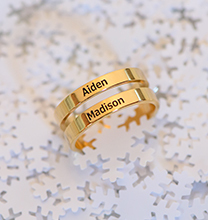 Personalising is simple: Choose a name or a word for each one of the rings on your design, and our skilled artisans will take care of the rest, creating a unique treasure that’s certain to be among the wearer’s favourite accessories. This gorgeous bracelet is made with 18ct Rose Gold Plating over 0.925 Sterling Silver, offering a beautiful gleam next to skin. Love it and want to see more? 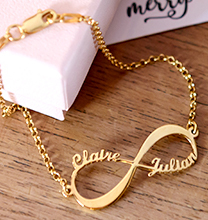 We invite you to view our engraved bracelet collection for additional options, including this exquisite bracelet in your choice of Sterling Silver or 18ct Gold Plated.